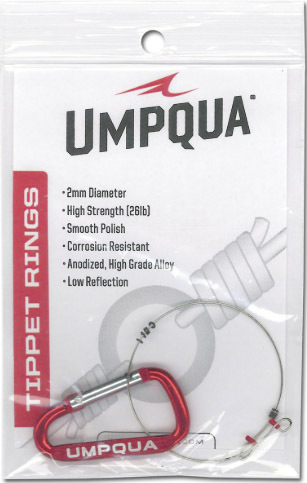 Very small, but very strong rings to tie your tippet to your leader. Very popular method with European nymphing methods, protects your leader from being shortened when changing the tippet. 2mm size is a good choice for trout in both streams and lakes. 10 rings per pack with a low reflection finish.